With online advertising program competition intensifying, it begs the question whether pay per click advertising is still the king of advertising. There are many alternative programs advertisers could use that, in certain situations, could prove more effective than PPC. However, does this mean all advertisers should switch from PPC to the next best online advertising program? This is what this article is going to answer. 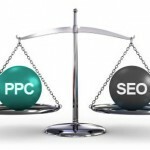 Below are two competitors to PPC and the pros and cons to them with a conclusion whether you should use them or not. Of course, one of the main competitors to PPC is banner advertising and inparticularly . Banner advertising works by allocating ad spaces on a website for advertisers to purchase on a 30 day fixed rate. The price is independent of clicks which can work both to the advertiser’s advantage or disadvantage. You do the contextuality and advertise on the websites you want to advertise on. One fixed price – once you pay that, that is it! Your CTR could significantly be better than expected causing your overall effective CPC to decrease. Image adverts tend to work better than text. Banner advertising is centred around image adverts. You could potentially pay for advertising space and get no clicks at all. 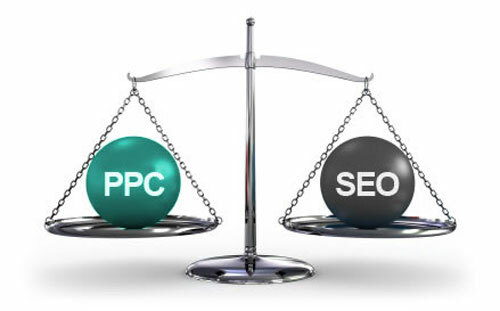 You cannot take advantage of search traffic at all like you can in PPC. There is a risk when buying an advertising unit of gaining under-par results. Are you better at being contextual than Google’s logarithms? BuySellAds is a great program to use…alongside PPC. The big problem, I find, with banner advertising is the lack of gaining traffic through search engines. You can only gain relevance from the content on the website you want to advertise on and there may be lots of reasons why people enter that website unrelated to your advert’s contents! I think PPC wins this fight. My opinion of In-text advertising has not been the best because every time I have used it, it is significantly noticeable why it is not as popular as PPC. Low CPC therefore more traffic for your budget. Traffic is usually poor as the way programs such as Infolinks gains contextual traffic is poor (they will link random singular words to random unrelated advertising campaigns). Poor traffic results in poor performance. For me, in-text advertising is a big no no. PPC is far too good for you to even consider in-text as competition. Again, PPC wins the fight. Ultimately, there are no real competitors to PPC. let’s face it, Google have dominated this market through innovating AdWords for 14 years! Saying this, the closest competitor has to be SEO (search engine optimization). To bring you around to using SEO, have a look at a recent article of mine ‘12 Useful Facts and Statistics About SEO‘. You will be completely surprised by how much contextual traffic you could gain organically compared to PPC!